Below are troubleshooting steps to resolve common issues with the HubSpot Sales Chrome extension. If you're having issues running the Chrome extension, try updating your Chrome browser and your extension. It's highly recommended to update Chrome to the latest version. In Chrome, click the Settings menu (three dots or lines) in the top-right corner. Navigate to Help >About Google Chrome. On the About page, click Update Google Chrome. If you don't see this option, then you are on the most up-to-date version of Google Chrome. Once Chrome reopens, you'll be on the most up-to-date version. Chrome automatically checks for updates, but the updates do not always happen in real-time. Therefore, you may occasionally need to force an update to the most recently published version. In the top-right corner of the browser window, click the Settings menu (three dots or lines) in the top-right corner. Select the checkbox next to Developer Mode to enable this function. Please note: clicking Update extensions now does not result in any visual feedback. Refresh the page to see the version number change. Below are steps to take in your Chrome browser and in your Gmail account if the extension is not appearing. Please note: you must be logged into your HubSpot Sales account to use the extension in Gmail. Check the top-right corner of your Google Chrome navigation bar. If you don't see the HubSpot sprocket icon, click the Settings menu (three dots or lines). Extensions that have been hidden from the toolbar will appear at the top of the dropdown menu. Click the HubSpot sprocket icon sprocket to show the extension. Right-click the extension in the toolbar, then select Keep in Toolbar. 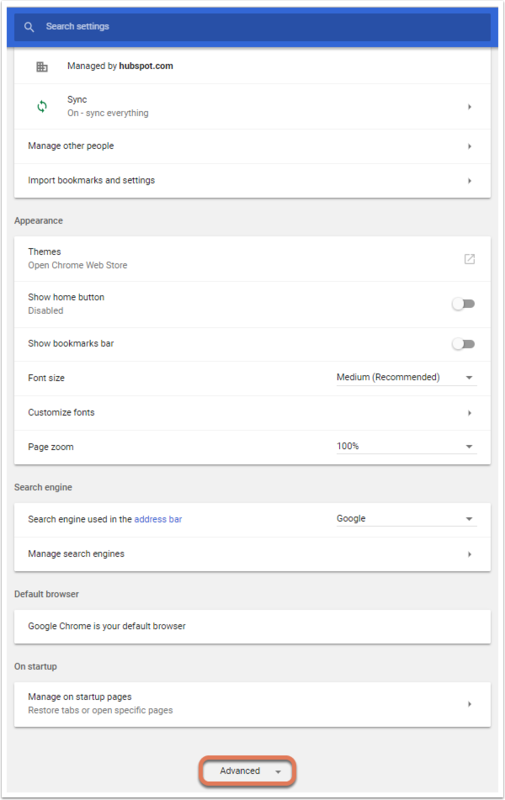 First, navigate to your Chrome settings by clicking the Settings menu (three dots or lines) in the upper right corner of Chrome and select Settings. Click Advanced at the bottom of the settings page. Within the Privacy and security section, click Content settings. In your Chrome browser, click the Settings menu (three dots or lines) in the top-right corner. From the dropdown menu, navigate to More tools > Extensions. Locate the HubSpot Sales extension and select the Enabled checkbox. Click the Chrome account menu button in the top-right corner of your browser window to view the name and email for the current profile. 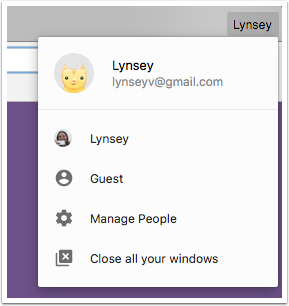 Click on the name of another user to switch profiles or go to Manage People and choose Add Person to add a new login for Chrome. Click the gear icon in the top-right corner of your inbox, then select Settings. If you have any labs features enabled, they will be shown at the top of the list as Enabled Labs. Disable all Labs features, and then click Save Changes at the bottom of the page. Reload your inbox and see if HubSpot Sales appears. Go to chrome://settings/clearBrowserData in Chrome. Click the Time range dropdown menu and select All time. Select the Cached images and files checkbox and the Cookies and other sites checkbox. Other Chrome extensions may also conflict with HubSpot in addition to the extensions listed above. If you have other Chrome extensions enabled, try disabling them and sending a test email to bh@hubspot.com to determine which extension is causing the conflict. 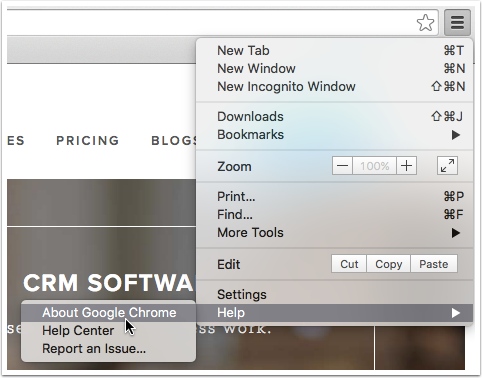 The HubSpot Sales Chrome extension will not display if your browser window is in incognito mode for private browsing. To exit incognito mode, close all incognito windows. If your emails are not tracking, below are troubleshooting steps to take in Gmail and in your Chrome browser. Some Chrome extensions can conflict with email tracking. If you have other Chrome extensions enabled, try disabling them and sending a test email to bh@hubspot.com to determine which extension is causing the conflict. If there aren't any conflicting Chrome extensions, try uninstalling and reinstalling the extension. Then resend a test email to bh@hubspot.com. If the track email box was not selected, the tracking pixel that the extension uses to track email opens will not be inserted in the email. HubSpot Sales is unable to track emails if they are sent in Plain Text mode. If you see that emails are being sent in Plain Text, switch to HTML mode. To do so, compose a new email. Select the dropdown arrow icon in the bottom right corner of the compose window. In the menu, click Plain Text mode to disable it. The most common issues with notifications pertain to notifications for the wrong email account or real-time notifications not appearing. Make sure that notifications are toggled ON in the HubSpot Sales Chrome extension. 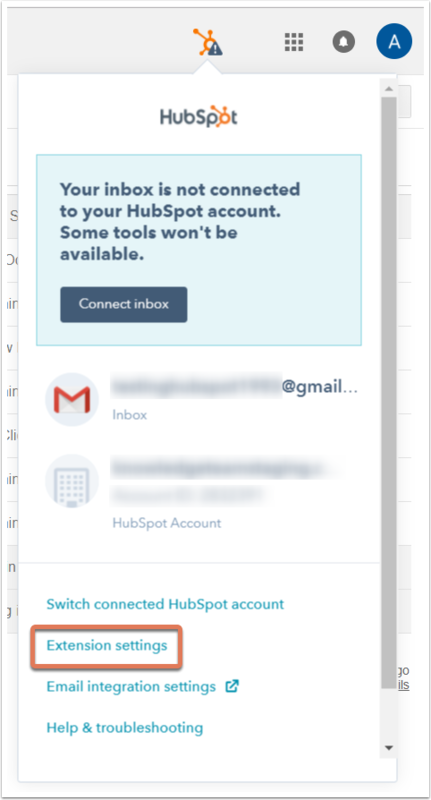 If you are using both Google Chrome and Outlook, it's possible you could be signed into one HubSpot account in Google Chrome and a different account in Outlook. Ensure you're signed into the correct account in both platforms. 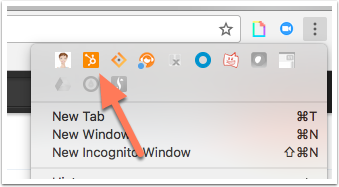 In Chrome, click the Settings menu (three dots or lines) in the top-right corner of your browser window and select Settings. Under Privacy and security, click Content settings. Click to toggle the Ask before sending (recommended) switch on. In the Allow section, click ADD. In the pop-up box that appears, type [*. ]hubspot.com in the Site field and then click ADD. 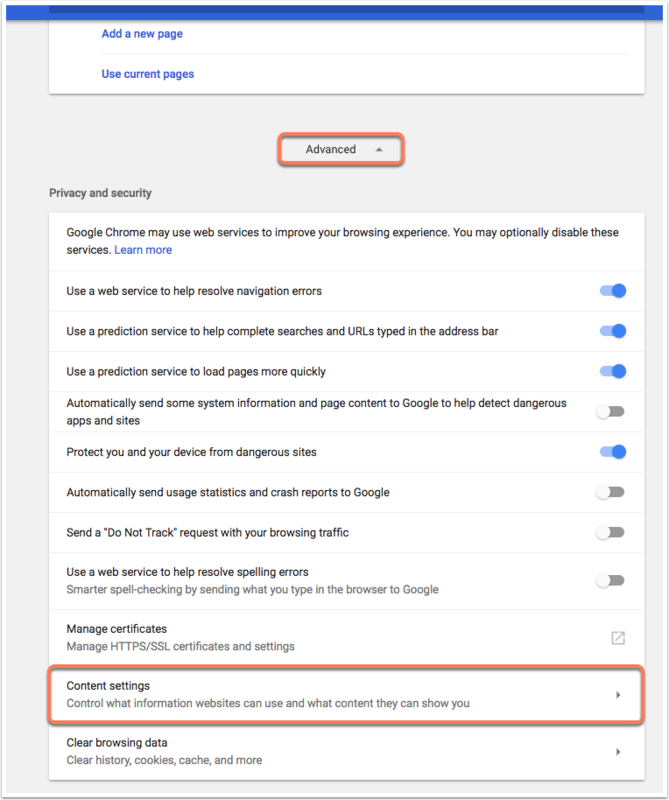 Navigate back to your Chrome content settings and click Cookies. Click ADD next to Allow. In the dialog box that appears, type [*. ]hubspot.com in the Site field and click ADD. Send a tracked email to bh@hubspot.com. You should see a real-time notification pop-up in Chrome. In Chrome, click on the Settings menu (three dots or lines) in the top-right corner. Select More Tools > Extensions. Temporarily disable all extensions, except HubSpot Sales. Send a tracked email to bh@hubspot.com. Navigate to your Gmail settings by clicking the gear icon in the top-right corner of your inbox, then Settings. If multiple people are sending emails from their Gmail accounts in the same Google Chrome browser, HubSpot Sales will automatically track that email send in the HubSpot Sales account that is logged in. As a result, you might begin getting notifications for emails that you never sent or do not recognize. 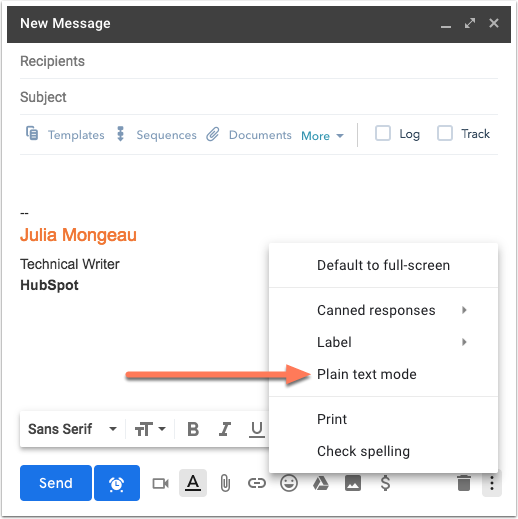 Click the HubSpot sprocket icon sprocket in the upper right-hand corner of Gmail. Create a separate Chrome profile for each individual that uses the computer. Anyone else using your computer will be able to check their email in a separate Chrome profile, preventing your sales extension from tracking their emails. If you're noticing notifications freezing on your desktop, you may need to restart Gmail by logging out, closing your Chrome browser, and then logging into Gmail again in Chrome. Alternatively, if you're on a Mac, you can enter fullscreen mode and then exit fullscreen to see if the notifications are removed. This can be done by clicking the green circle in the upper left-hand corner of your Chrome window. If you're still seeing a frozen notification, you may need to restart your computer. The below troubleshooting steps addresses error while operating and installing the HubSpot Sales Chrome extension. There may be a slow connection between the Chrome Web Store and your computer, which would cause a timeout. There may be security software installed on your computer preventing you from downloading a mail extension to your Chrome browser. Try either lowering your security settings or connecting with your IT team to see if they allow a mail tracking tool to be installed in browsers. By relaxing the security on which extensions you are able to download, you may then be able to install the extension. 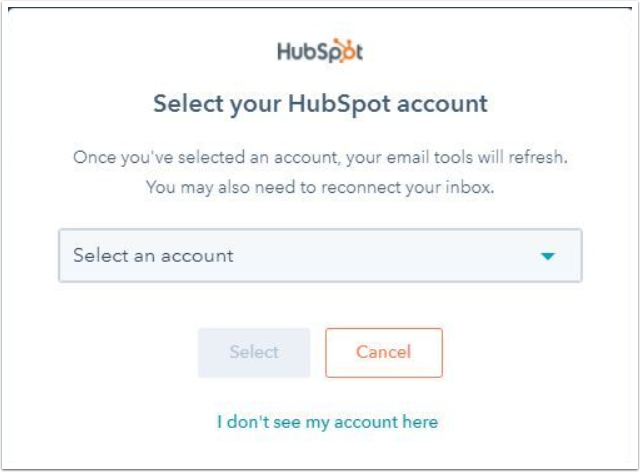 If you haven’t selected a HubSpot account for your sales activities to sync to, you will see an exclamation point in the HubSpot sprocket icon in the upper-right corner of Gmail. Clicking this sprocket icon sprocket will open a window prompting you to select an account for your sales email activity to sync to. If you don't see your account listed in the Select an account dropdown menu or only see No results found, then click I don't see my account here to see all of your accounts. 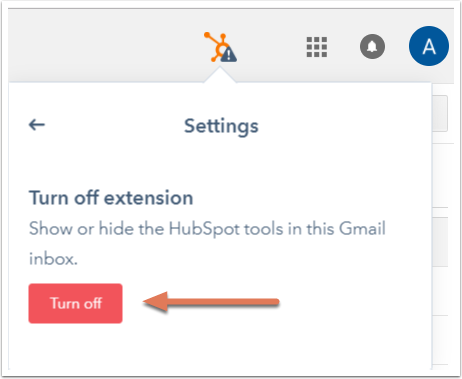 Click the HubSpot Extensions tab, and select a HubSpot account for your sales email activity to sync to from the dropdown menu beside Extension sync in the Extension settings section. Click the Settings menu (three dots or lines) in your Chrome browser, then select Settings. Select Content settings > Cookies. 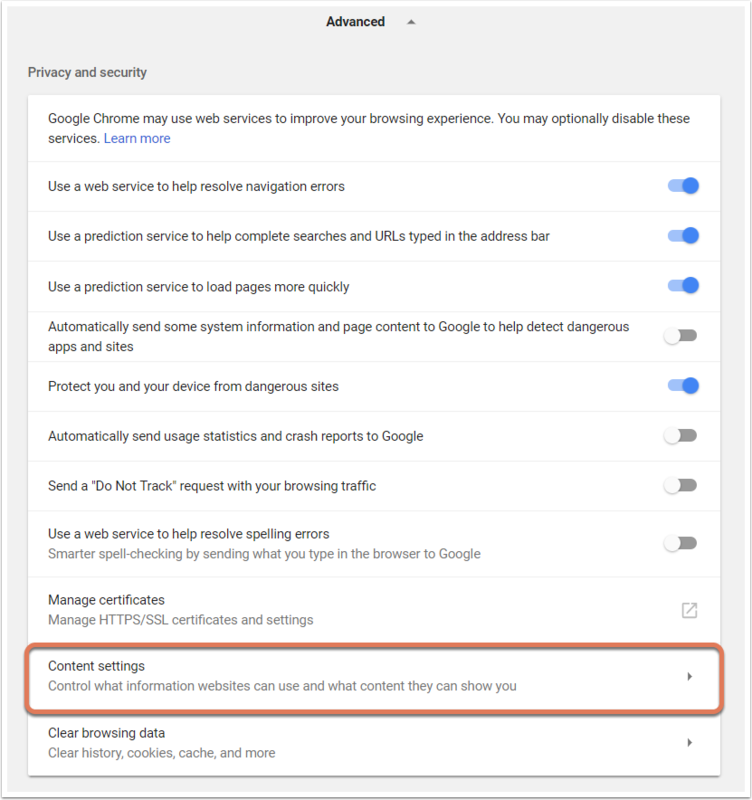 Click to toggle the Block third-party cookies switch off, and ensure that the toggle beside Allow sites to save and read cookie data (recommended) is on.